To ensure reliable and efficient operation of power grids and not clutter everything with cables, we use different systems, one of which is the oil-filled power transformer. With its ability to convert energy using conductors of small size, this an indispensable system in the power and production industries. Oil filled transformers are arranged in such a way as to best meet any operating conditions. They consist of magnetic cores with two layers of securely attached windings. The cores are located in an airtight tank which protects the internals of the transformer. The transformer tank is filled with oil, and the tank is equipped with an expansion tank. This is to keep the temperature expansion of the liquid in check, controlling it with plastic deformation of a special corrugated material. Another essential part of the transformer is the air dehydrator. This component prevents air, moisture and dust from entering the transformer tank. As mentioned above, the external structure of the component completely shields the internals from any outside factor. The lid of the tank is equipped with a complex magnetic lock and seal system. The expansion tank is located above the lid, and is connected to the tank by a pipeline. The latter is equipped with the Buchholz relay. There are also outlets for gas and oil drain. The transformer operates based on electromagnetic induction: electric current is generated in the closed circuit with a different voltage. The current in the first winding creates a magnetic field, acting on the second core, which in turn induces current in the second winding. The number of turns in the windings is proportional, and this proportion defines the amount of voltage change. The internal structure of the transformer generates heat during operation, so oil is required not only for insulation, but also for heat dissipation. 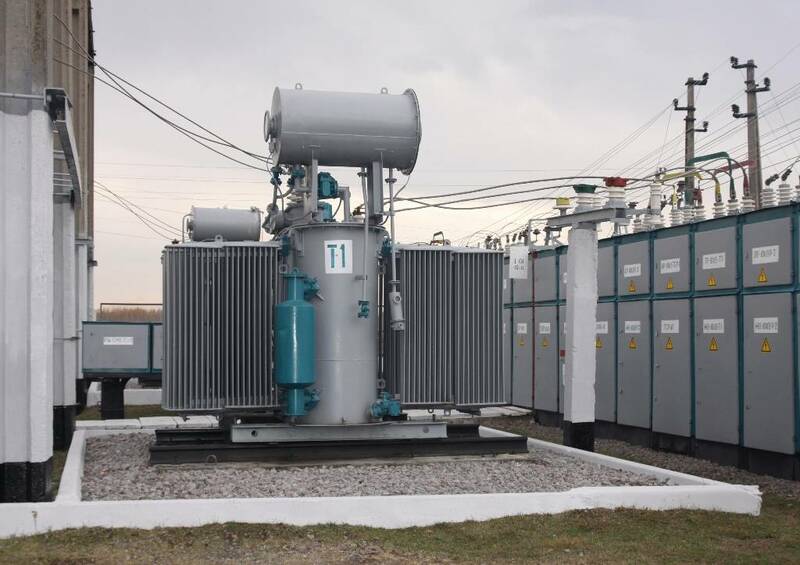 Oil transformers are usually designed as compact devices, for use inside or outside industrial structures. A well designed protective shell is allows outdoor operation. Inside the tank, a liquid thermometer is installed to keep track of the oil temperature, ensuring reliable operation of liquid insulation. Oil transformers can be operated in a wide range of ambient temperatures, but may require different types of oil for optimal viscosity. The usual operating temperature range for the transformer is +40 ° C to -60 ° C, so the transformer can also be used in the Arctic regions. The oil-filled transformer must operate continuously and reliably even during power consumption peaks and surges. The product of this operation is stable voltage as required by the customers. There are several guidelines for reliable and consistent operation of transformers. First and foremost, these guidelines relate to quality and purity of transformer oil. Contamination of the oil must be kept under control. It is important to keep flammable or explosive materials away from the transformer. Following these principles ensures long life and safe operation of the transformer, as well as the output of a stable and reliable electrical power.